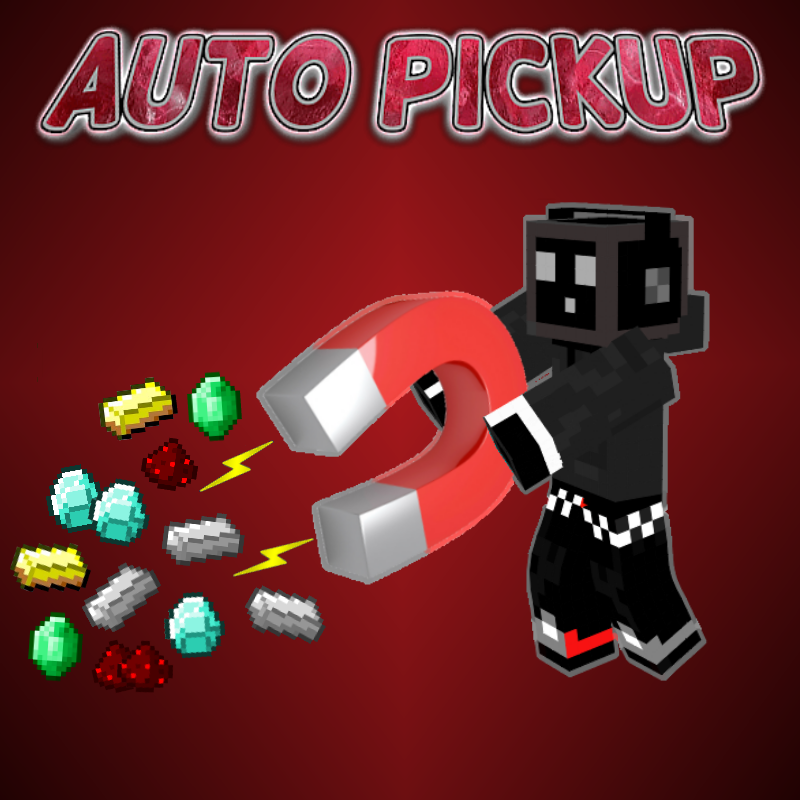 Auto Pickup allows items to be picked up automatically or blacklisted and never picked up. Whenever you do something that creates an item, that item will be automatically placed in your inventory (if it is not in your blacklist). Experience will also be given to you automatically. This works with all modded items! Can you add the ability to pick up and void specified items? It’d be like the Void Sack from Actually Additions or Null Charm from Dark Utilities but without a limit on how many items you wanted voided after pick up. you get the item the NPC gave you plus one. This only started happening once I added your mod. This mod is pretty cool. Is it possible you can prevent hoppers from picking up items? Otherwise you can kinda cheese it depending on how the mod is used. Any chances that we can edit a preset or adding our own preset? Please post as much information as you can: the Forge version you're using, the crash log (in a spoiler), and what you are doing in the game to cause the crash. It should still produce a crash log: go to your .minecraft folder (AppData -> Roaming by default), then inside the crash-reports folder should be all of your recent crash logs. Excuse me? 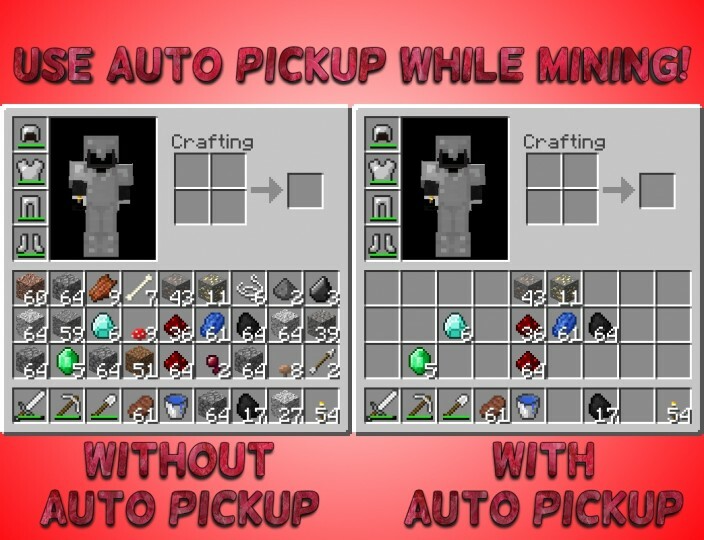 How can I disable auto pickup quickly? Well there's not really a way to just disable the mod. You can add certain items to the blacklist and not pick them up, if you want. What would you want a temporary disable function for? Do you mean that you want to temporarily disable the mod's blacklist so that you can pick up items that are on your blacklist? If so, then you can use the Ignore Blacklist keybind (default LMENU/left ALT) to temporarily ignore the blacklist and pick up items that are on it.